When you are looking for a tool to capitalize on the engagement market, Instagram holds the top spot. If you want to take hold of all of the engagement that’s there waiting for you, you need great content. Content will be the make or break of not only growing your follower base but making sure that you grow with real and active users. Instagram has been very active when it comes to releasing new features and ways to use their platform. Make sure you are always in the know! 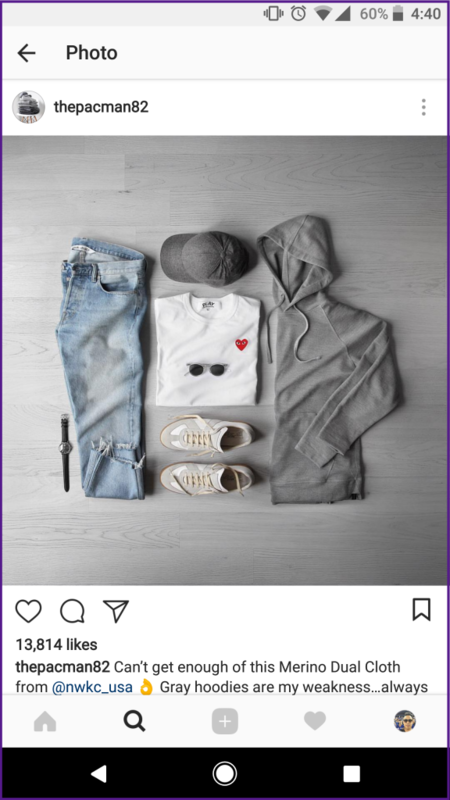 Instagram’s newest release is the ability to now Follow Hashtags, so you are able to keep track of the top performing posts and gauge trends within your hashtags. This month alone Instagram has already released two new features and it’s not even Christmas yet! 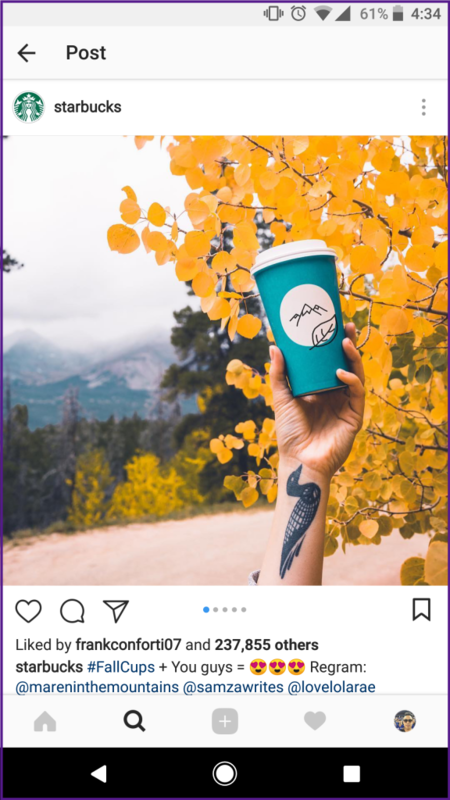 Instagram continues to offer new ways to post, that can all be included within your content strategy. Users are going to want to see how to go about using these new tools and your content can be a prime example. Now you can either wait for Instagram to have a popup introducing a new feature or you can be prepared and have the steps ready for the new update. Find a site that can deliver these updates, bookmark it, set daily or weekly reminders and be on top of all of the new releases Instagram rolls out. It’s not enough to just be posting pictures of your products or brand, you have to engage with your followers. It is important to learn from your followers as they can teach you things that will help you align your content to your audience. Instagram is a fast paced tool, you scroll through pictures faster than you can internalize them. No one wants to read a story. Be brief, clear and polite as you are getting market research straight from the market itself. Analyze your comments, they could be telling you more than just a smiley face and a heart emoji. Especially analyze your lack of comments, as this is feedback on its own. Maybe you aren’t telling a good enough story for your audience to have anything to say? This is a great tool for you to engage with your audience, increase your following and spread awareness of your brand. It’s a low cost method that’s very effective as its even faster for your followers than writing their information on a raffle ballet. There are a ton of great free tools out there that you can use to spice up your pictures and font styles. Here are a few free tools you can try to add to your arsenal of content techniques. 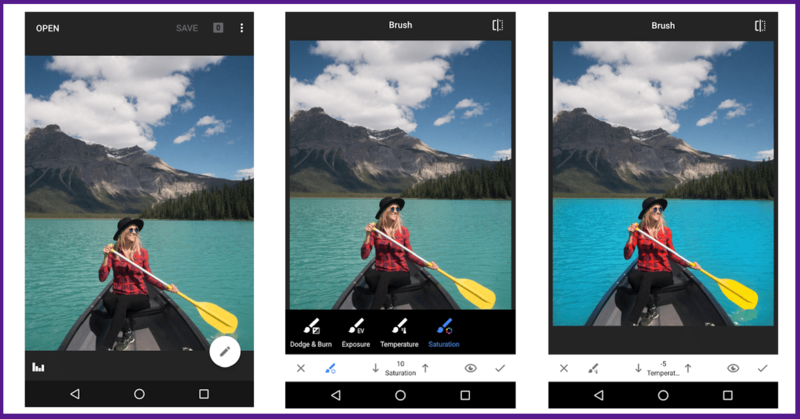 Snapseed is an app by Google that gives you countless tools to use to edit your photos. Have a fully loaded editing team in your back pocket with this free tool. 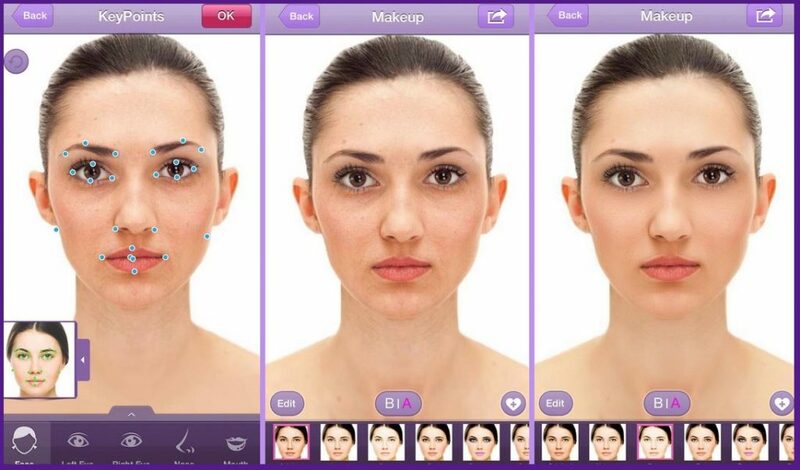 Get that stunning selfie with this easy to use beauty app. 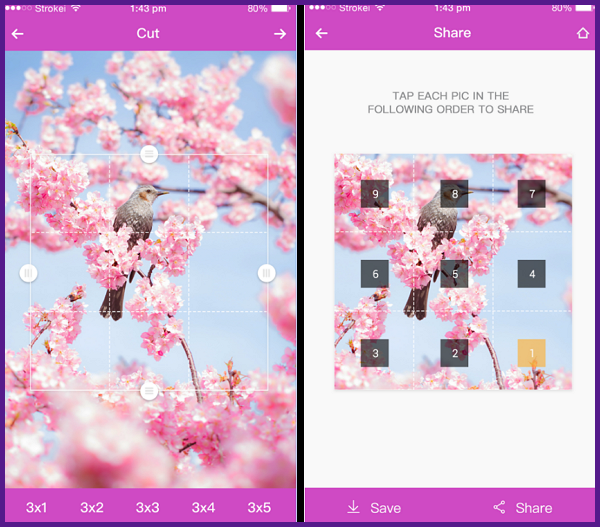 Take a selfie, upload it to perfect365 and beautify it to get that post perfect picture. Want to try a new style of posting? 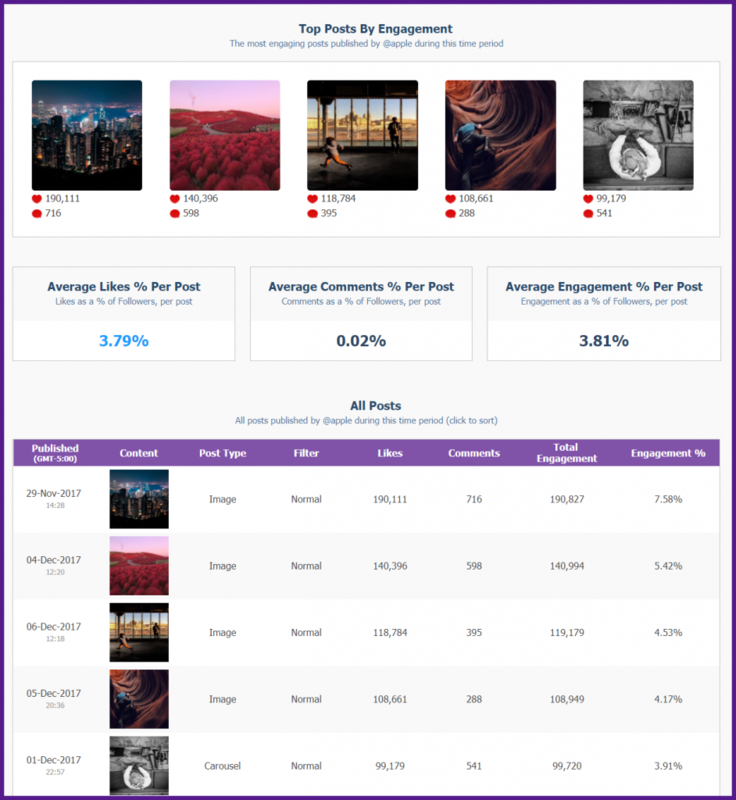 9 cut lets you take a picture and spread it out among 9 posts so your followers get a huge view of your content on your profile. The time you post is an important factor to the level of engagement you will receive. If you are posting during a low period of activity from your followers, your post could get lost within a sea of content in their news feed. Put your best foot forward and know when your audience is active so you can post accordingly. 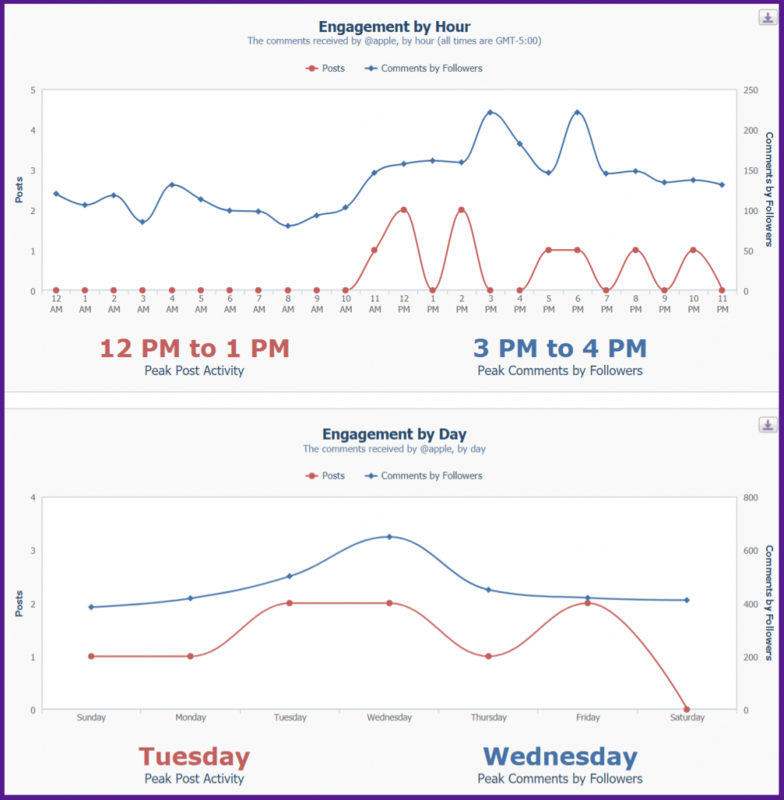 Crowdbabble can help you to track the times and days that your follower base are most active. That way you are able to track and plan when your daily or weekly posts should go out. You have a very short period to catch someones attention, and whether that be through color, focus or products, you’ll need something to hold onto that attention. Your posts should tell a story, something that you can understand within 30 seconds of staring at a photo. Luckily for you, Instagram is a very effective visual tool, you just have to figure out what compliments your brand well and grabs the viewers focus. There are many different approaches to this anywhere from a minimalist and clean view to a complimenting beautiful landscape. You will have to try a few approaches to learn which suits your direction the best. Learn from each post, take what is working and throw away what isn’t. Crowdbabble can help you to compare each post to better pinpoint your strengths and weaknesses. If you are consistent on analyzing your posts, each post should fine tune your strategy and make the next post better than the last. You can also use our platform to connect the account of any public profile. If you need inspiration, you can find out what strategies are working for them that you might be able to apply to your own strategy. These simple changes will help to improve your content strategy so that you can improve your profile. Crowdbabble can help you to track your progress and better aid in your long term planning. From applying new strategies to comparing yourself against your competitors, our analytics platform will provide the data you need to be informed on your account.